Please do not use for separating 2-part silicone molds. 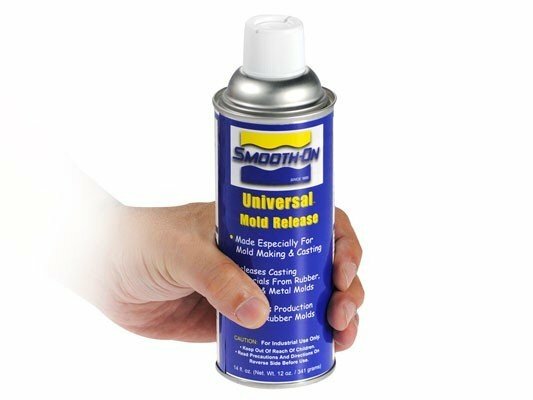 Universal Mold Release is formulated especially for mold making and casting, and works well with most liquid rubber and liquid plastic products. It will release mold rubbers (such as polyurethanes and polysulfides) from properly prepared models. Sealing porous models (wood, plaster, concrete) or certain modeling clays (containing water or sulfur) with Smooth-On SuperSeal or other sealer may be necessary. If using silicone rubber, seal model surface with SuperSeal only. Do not use UMR. UMR also easily releases a variety of casting materials (epoxies, Smooth-On liquid plastics, etc.) from cured rubber molds. Properly used, Universal Mold Release improves molding efficiency for a variety of casting applications and will actually lengthen the life of your production mold.